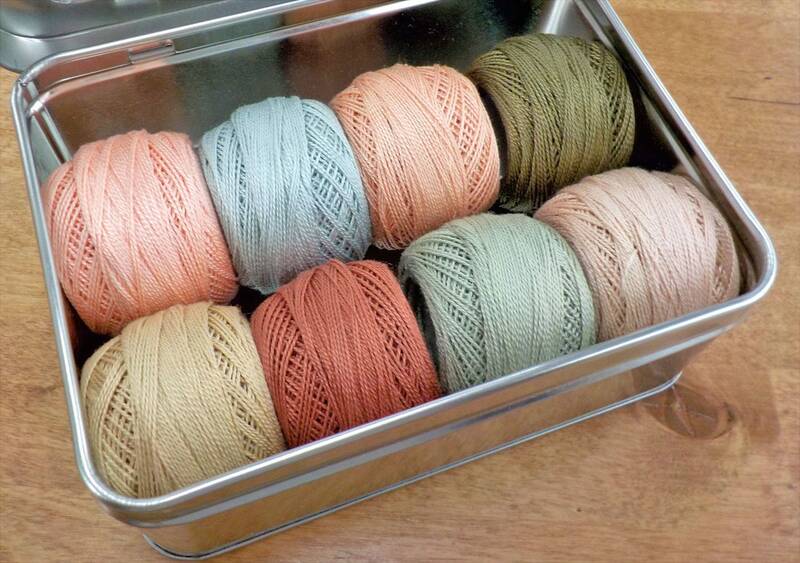 Chantilly-Inspired thread box...featuring 8 DMC perle cotton balls...no 8. 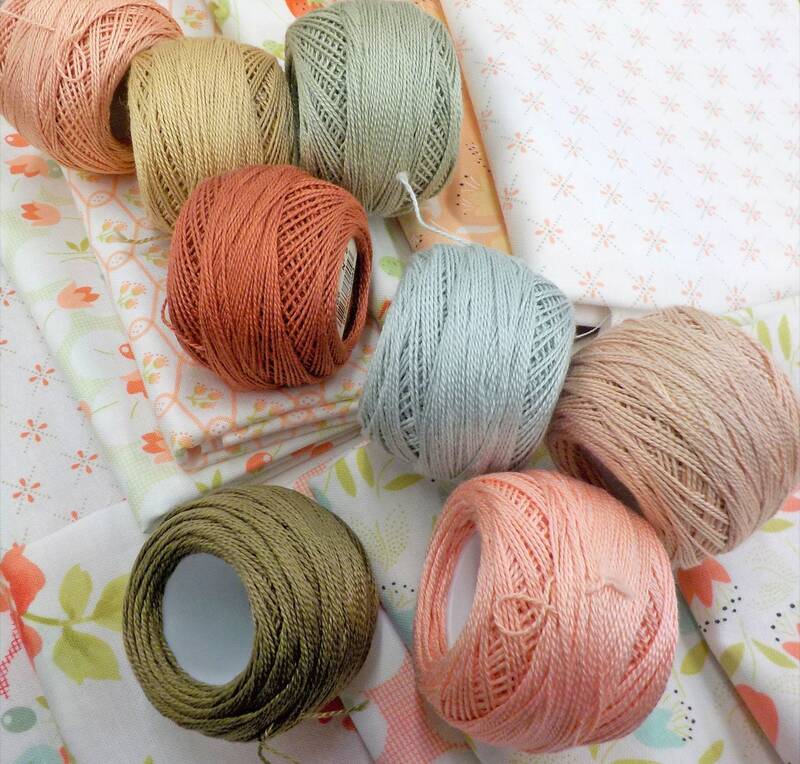 A collection of colors inspired by the Chantilly Range by Fig Tree...soft shades of peach, beige, green, and a soft blue. --we do not have a project to coordinate with this collection at this time, however these colors would work beautifully for any summery project.